Ready to share your happy news with the social media world? 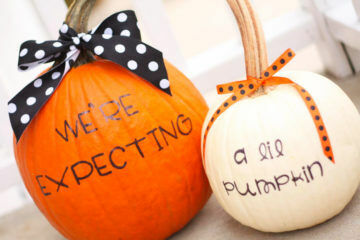 Here are 15 incredibly adorable pregnancy announcement ideas to steal. 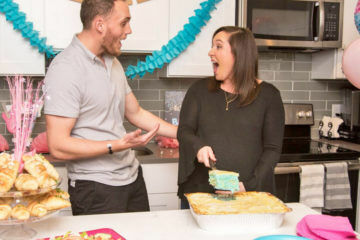 Props always add an element of creativity and fun to your pregnancy announcement, especially if the prop happens to be something that reflects an interest or hobby. Here are a few of the countless ideas to consider. 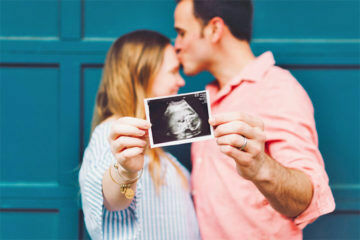 That first ultrasound photo has all the makings of a very special pregnancy announcement, especially for first-time parents-to-be. 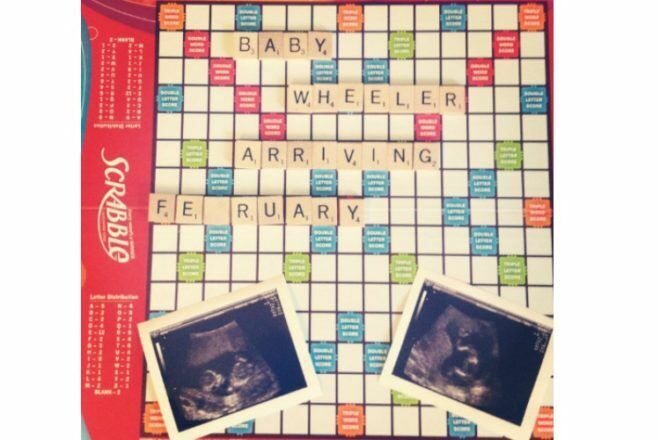 If you’re more of a wordsmith, then a Scrabble pregnancy announcement might be worth writing down. 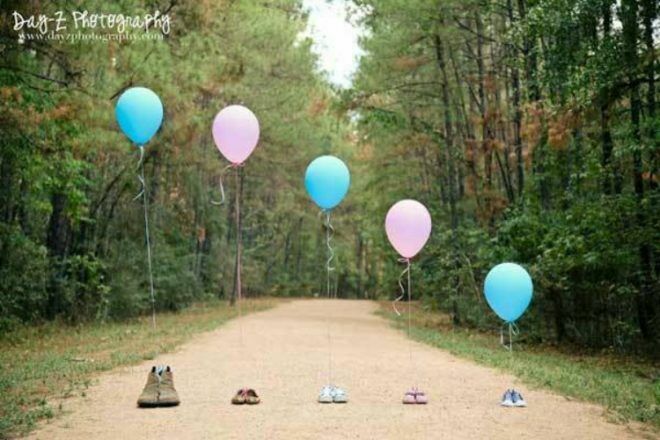 No words needed for this clever gender reveal pregnancy announcement which uses balloons and shoes to tell the story. 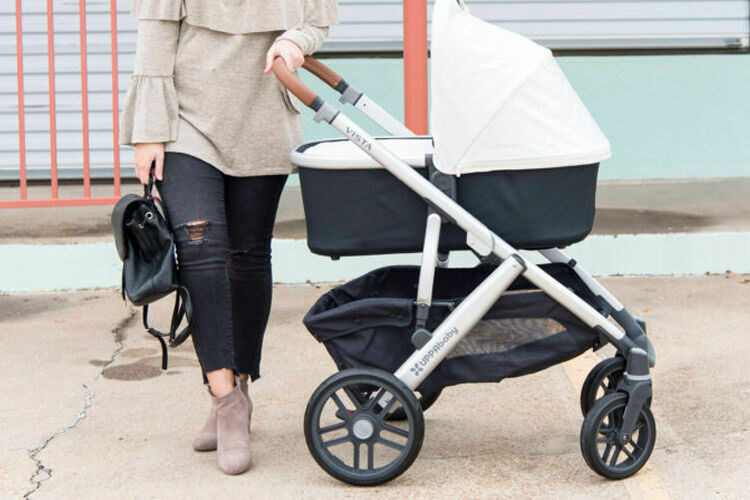 Grab some chalk, find a plain wall (and a cooperative baby daddy) and get creative, just like this clever idea from Instagrammer Gypsy Jones. 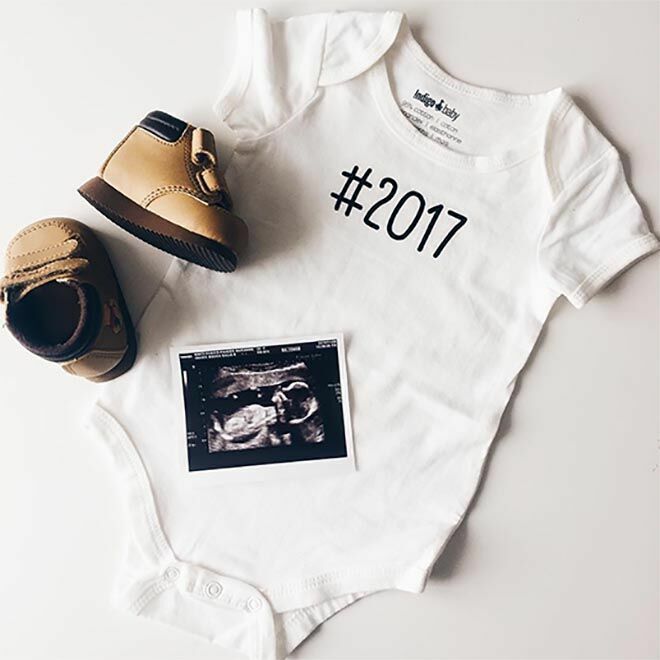 A strategically placed onesie can easily prop up your pregnancy message and bring the happy announcement to new heights. 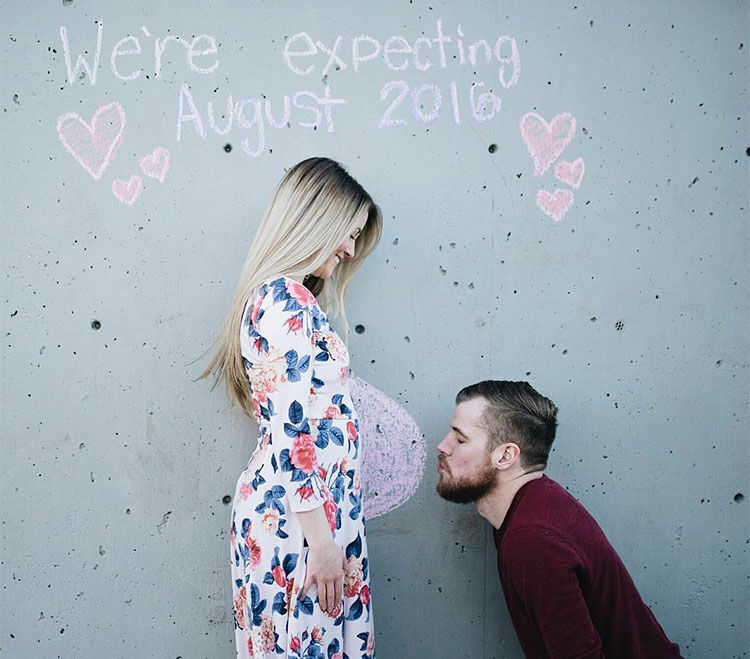 Baby (bike) on the way! 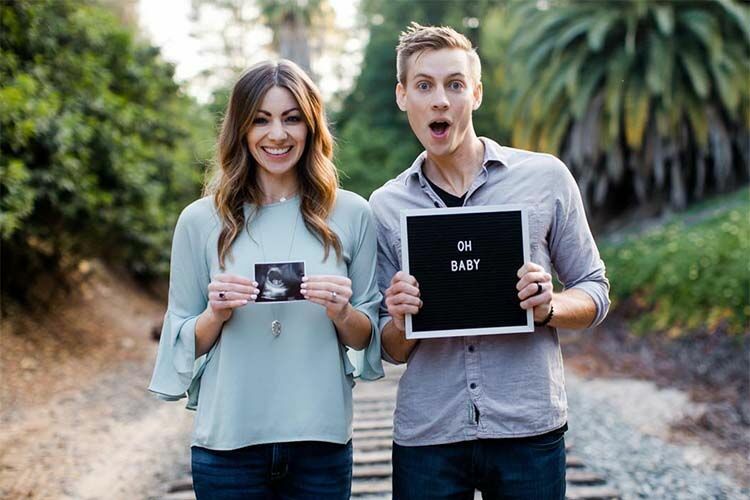 Adding another bike rider to the family? 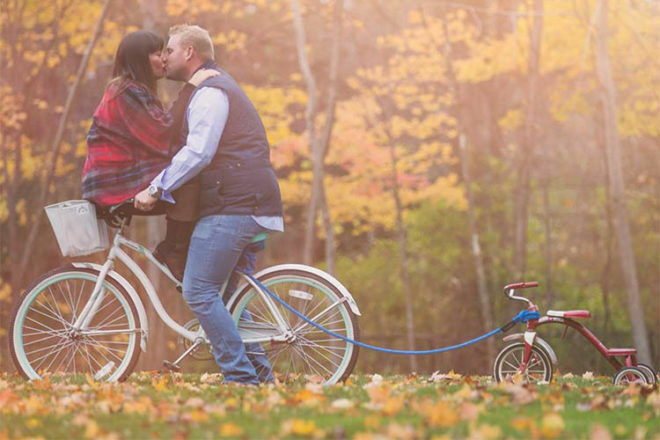 Say it with a trike – the perfect prop for cycle enthusiasts. 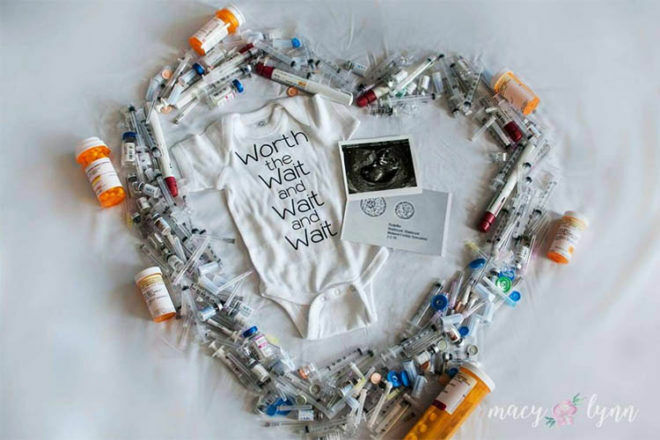 Not your usual pregnancy reveal photo, this IVF pregnancy announcement shows just how hard the journey to parenthood can be for some couples. 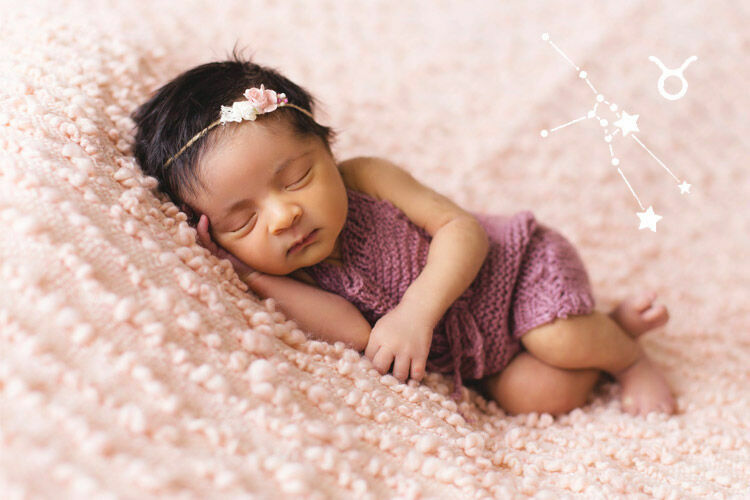 If you have taken the IVF road, then you’ll understand the heartbreak and the happiness behind the message. 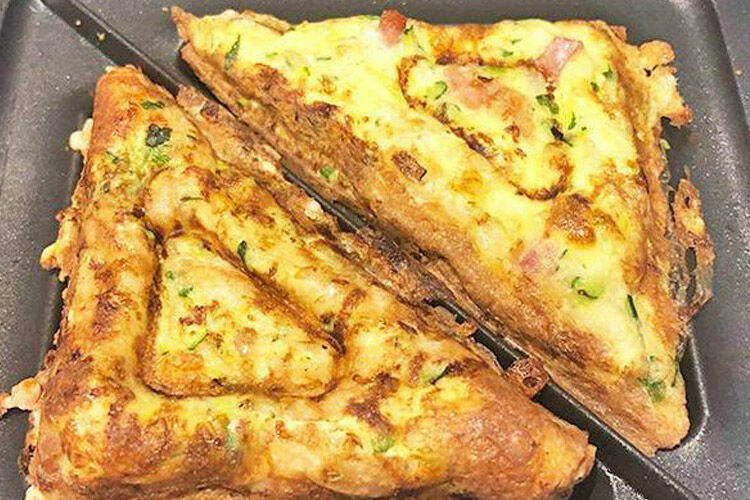 If it’s good enough for model Megan Gale, it’s good enough for us. 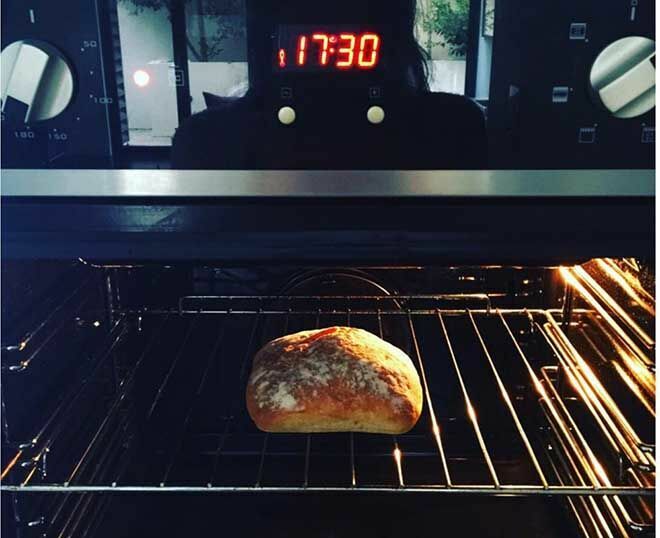 Grab a bun, whack it in your oven, snap a quick shot on your smartphone and that’s an adorable pregnancy announcement in about 50 seconds flat. 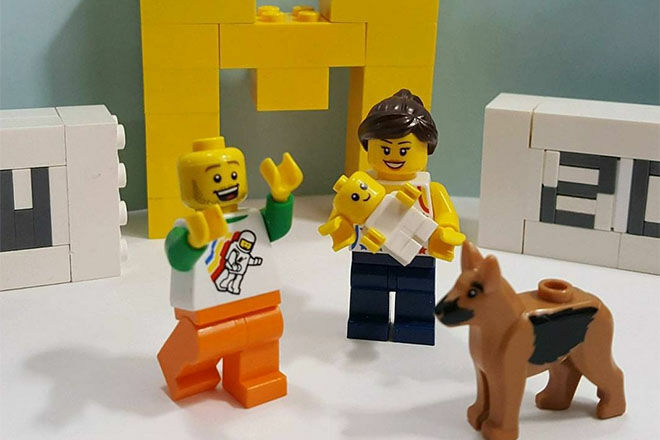 Everything really is awesome when there’s a baby on the way, so spell your news out with awesome Lego bricks and excited minifigs. Getting your older children to share your special news is always a hit. Not only does it provide you with a chance to bond with your eldest by staging a photo shoot, but it also gets them involved in the news. Every Batman needs a Robin. 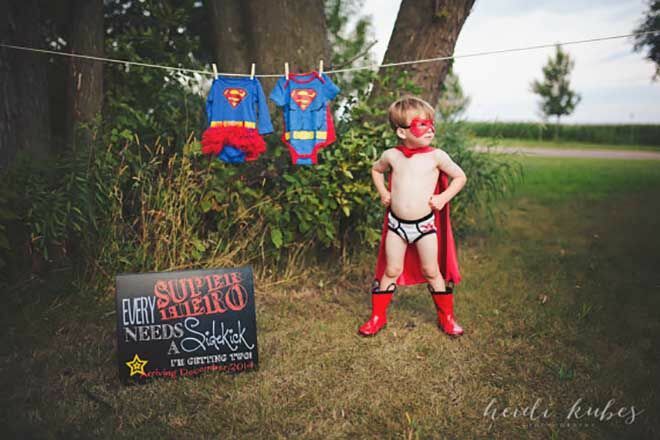 Superhero-themed baby items are all the rage (check out our favourite bibs, cakes and pyjamas made for superheroes in training). But we especially love the clever message, from the creative minds over at MMason Designs. 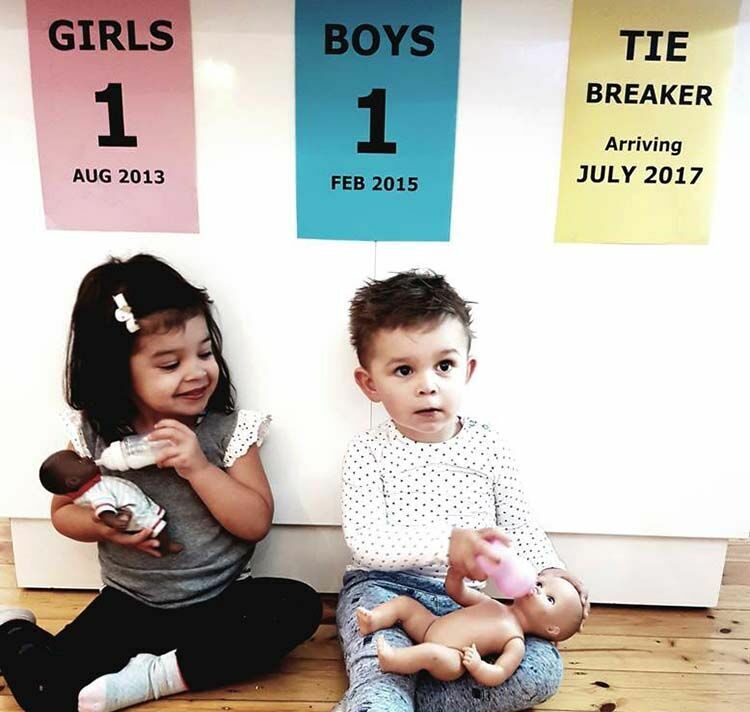 You’ve already got one of each, so let the newcomer play tie breaker with this adorable pregnancy announcement idea from one of our own Grapevine readers for families expecting baby number three. 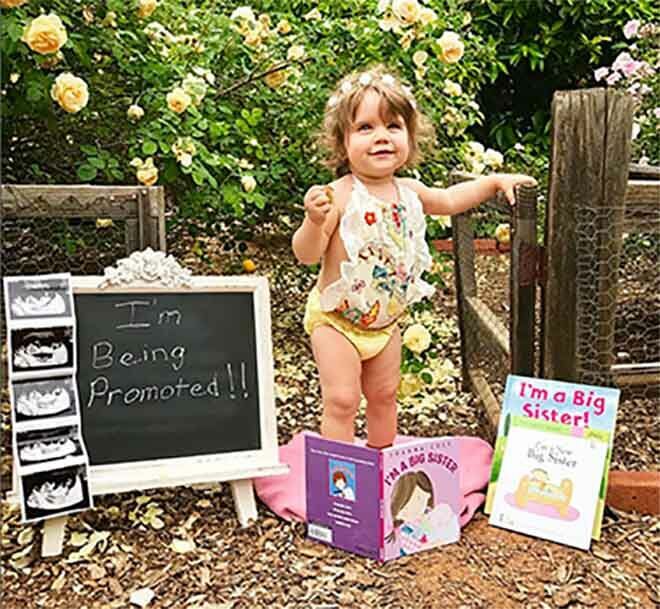 A sign and a big smile from your older child can be a winning combination for pregnancy announcement photos. 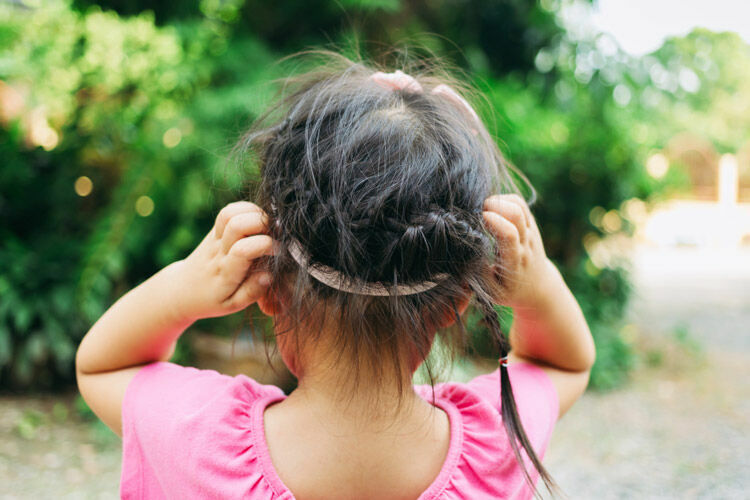 Expanding your family by more than one? 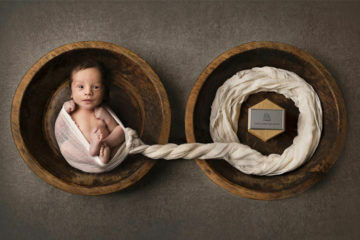 Share your double delight with a photo that symbolises an unbreakable bond. 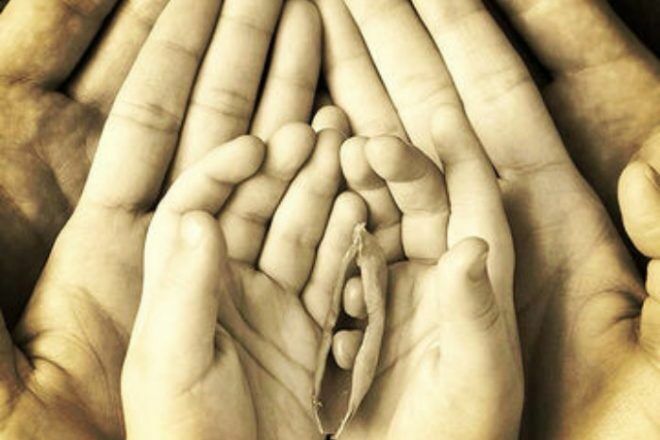 You don’t need much to stage this photo – three pairs of hands, one camera and two peas in a pod. Baby on the way? 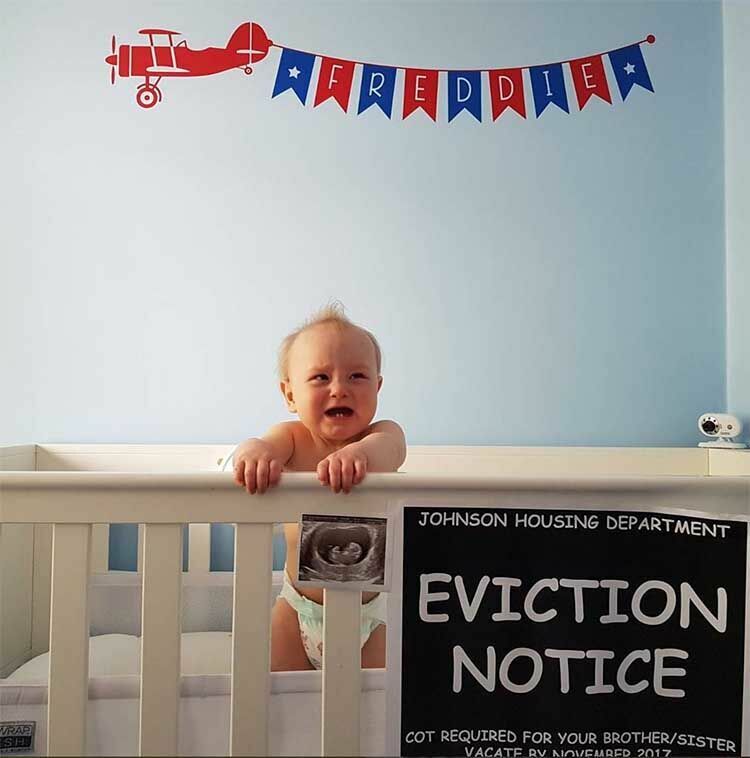 You’re going to need that cot, so let your eviction notice double as a pregnancy announcement and kill two birds with one stone. 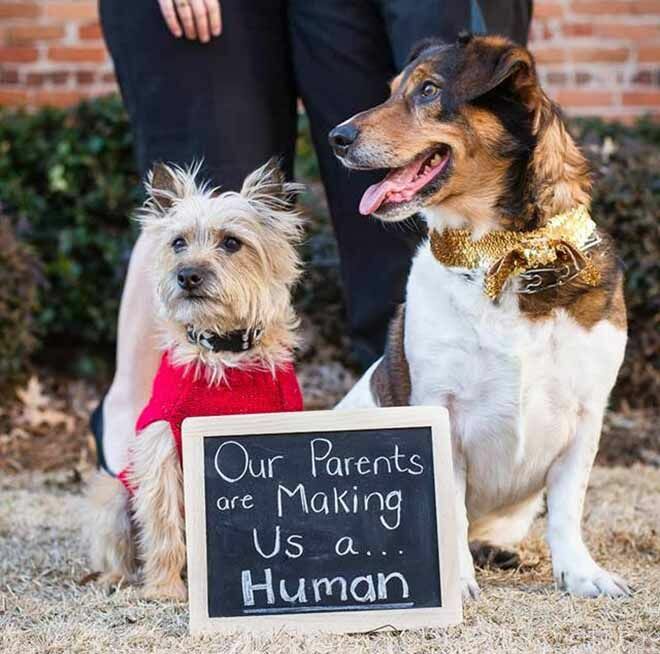 Is your fur baby about to get a human sibling? Sure, they may be relinquishing their positions as favourite baby of the family, but a pet-inspired pic keeps the family pooch front and centre (for now). 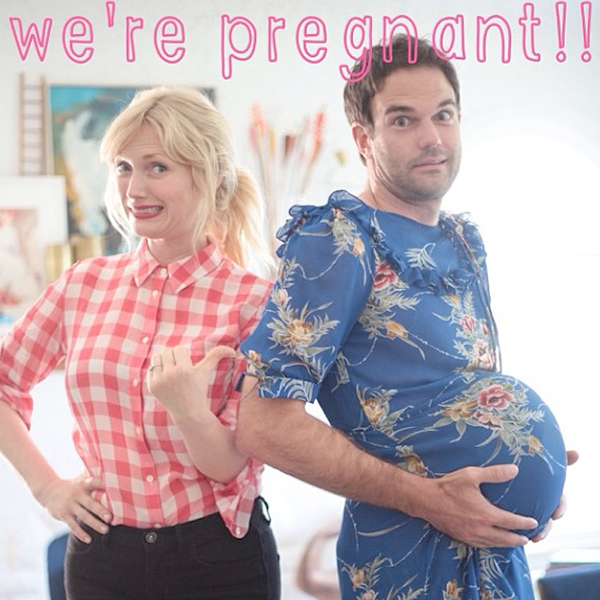 We hope you’re inspired by our pregnancy announcement ideas. 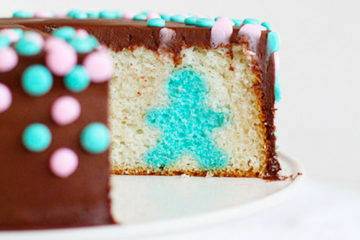 Have a look at our previous articles for even more ideas on pregnancy announcements, gender reveals and newborn arrivals.